Bubby and Bean ::: Living Creatively: GIVEAWAY // Win a $50 Gift Card to Pavé Life! GIVEAWAY // Win a $50 Gift Card to Pavé Life! Today I'm so excited to be partnering with a very cool company called Pavé Life to offer you guys a really incredible giveaway! 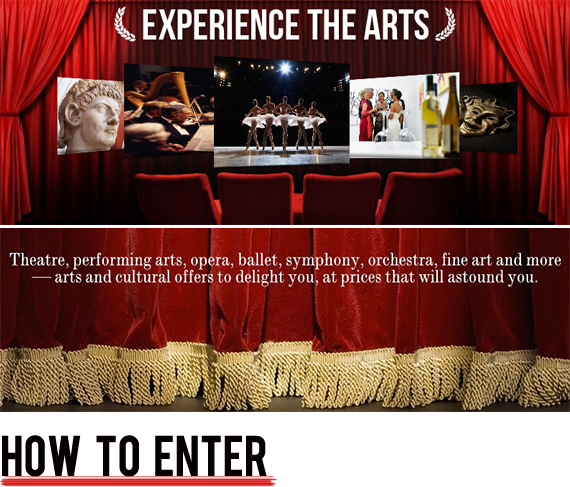 If you're not yet familiar with their concept, Pavé Life offers premium arts entertainment tickets and show packages online at majorly discounted prices (we're talking 40-65% off). Think of them as a "Living Social" or "Groupon" for lovers of the arts. From theatre, ballet, and comedy club tickets to exclusive museum events, orchestra concerts, and even luxury dining and hotels, these guys can hook you up with a pretty amazing night on the town for a small fraction of what you'd normally pay. For those of you who are like me and appreciate luxurious evenings out but can't justify spending ridiculous amounts of money to do so, Pavé Life is basically the best idea ever. And now you have the chance to head out for a night of fun in your city with a $50 Pavé Life Gift Card! 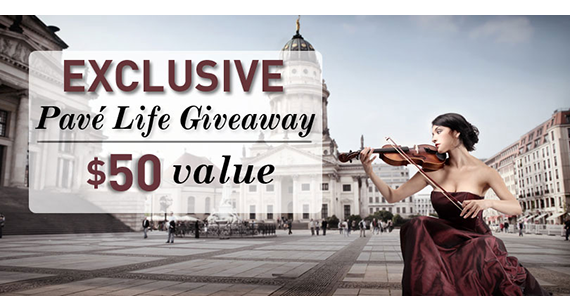 To enter, just subscribe to Pavé Life, then leave a comment below with how to contact you if you win. That's it! Here's some more good news - everyone who enters will automatically get a $20 credit to spend! With plenty of events for less $20, this means you can even see a show for free just for subscribing. This also means that the winner will actually receive $70 to spend ($50 gift card plus $20 credit)! Woot! This giveaway is open through July 16th to all residents of the U.S. and Canada. The winner's name will be randomly chosen and announced shortly after. Thanks again to Pavé Life for giving Bubby and Bean readers the opportunity to win such an awesome prize! Good luck! Enter me please!! :-D Subscribed! I like Pave Life on Pinterest!! Extra Entry: I like Pave Life on FB. Thanks for posting this! I love the Arts, and Google Offers/Living Social/Groupon tend to be somewhat devoid of the finer artsy events, like ballet or gallerias. I just subscribed to Pave Life through their website and would love to be entered to win! Their website looks really cool and I love that their focus is on the arts. I subscribed! Thanks for posting this giveaway! Thanks for the introduction to this great site! !